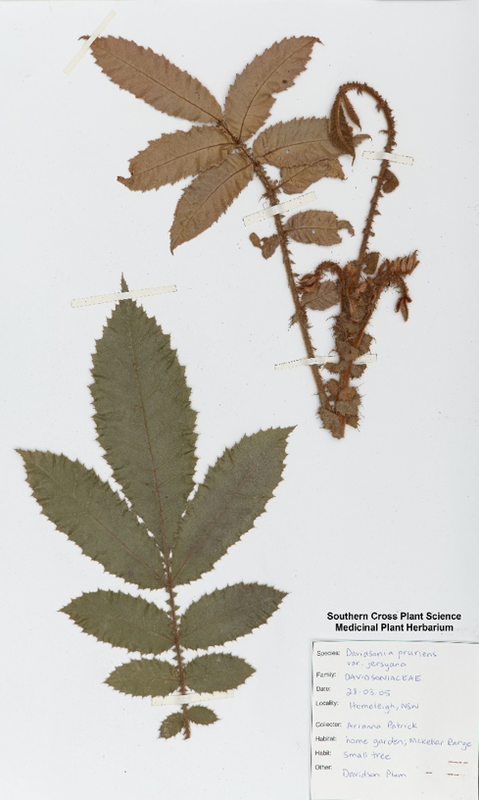 Branchlet-featured: dull-green, hirsuited-brown leaf with underpinned-pink petiole. Toothed prominently. Spiked softly. The leafstalk is unstoppably, multiply leaf-stalked: Linnaeus’ stipule – outgrowth-born borne by the peeking becoming-peaked petiole. A tweed coat-in-development – rusted mustard and olive-underpinned. The furred and prickled young leaf – already prominent in tiny – ageing to a furry felted feather-shrunk of noticing-unnoticed being-accepted. The furred side of animal skin: cub fur, fox. Baby chicken head. A baby bird’s fuzz, yet with beak-notice – the squawking beak ahead before it. And then the impossible: a syringe long and slim like alien ribbon thread, a roll, a ring of twine, a thin wreath. Or, some river course becoming a red rivulet, a stream. Oh hairy curly furl! Oh finger-cushion! Oh door-draft-stopper pillow! Oh infant-school cling: a rush of cuddles piled and piling, cornucoped! A becoming into the structured artifice of symmetry. Then undone. Yet with small reminders of that cling to the balanced-grown: succinct in appropriate measures. 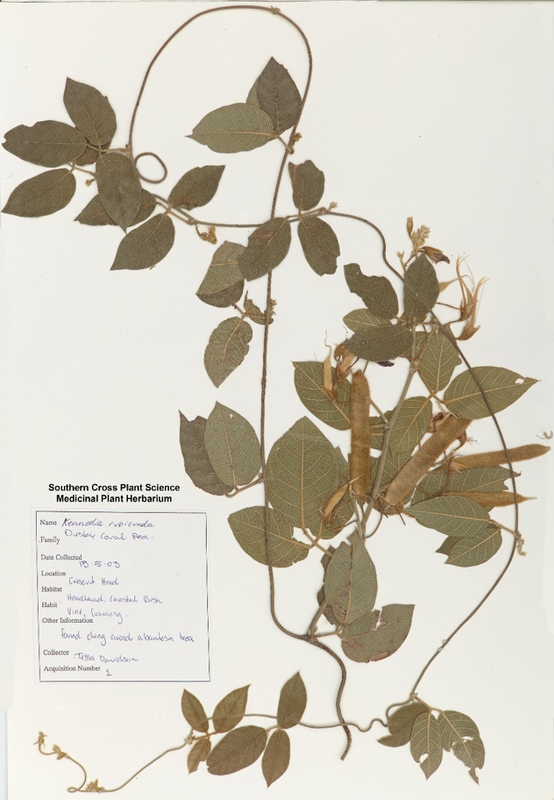 I am currently working with pressed specimens of some native plants of the New South Wales Northern Rivers, in the Southern Cross Plant Science Medicinal Plant Herbarium on the Lismore Campus of Southern Cross University. The specific methodology of this research is poetic inquiry, as noted by John Ryan (2010) in a similar context. I decided at the turn of the century that there was an imperative for me to write and teach ecocriticism, because the planet’s in crisis. Both Lawrence Buell and Wendy Wheeler have referred to that time frame, saying nature writing re-emerged “as a self-conscious movement” (Buell 2005, 1 ) and ecocriticism came as a “new critical formation” (Wheeler 2006, 101) in the last decade of the twentieth century. I had been writing plants, objects, and cultural and natural landscapes before then, but about that time I continued the practice consciously. I think of writing as the substantive part of my political activity, and of all writing as political (Costello 2005). I agree with Emily Potter (2005) that literary poetics can “claim an engagement” with planetary crises, alongside “scientific research, technological know-how and legislative regulation” (Buell 2005, 5), because of the capacities of the imagination, because of literature’s ability to build empathy (Cosgrove 2008), and because human creativity gets us to the “distal conditions (the emergent structure of feeling) under which direct political action might be formulated and enacted” (Wheeler 2006, 137). I think science communication is critical now. And importantly, then, as one call for papers for poetic ecologies stated in 2008, ecocritical theory attempts “to initiate a much more sustained dialogue between literature” and biology (Université Libre de Bruxelles 2008). 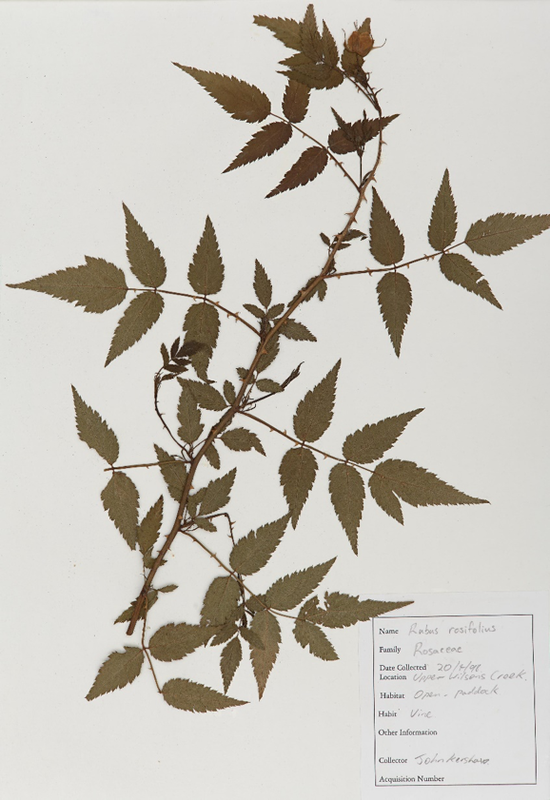 I think of what I am doing as supporting the Herbarium’s scientific work by differently recording, differently communicating that scientific work. 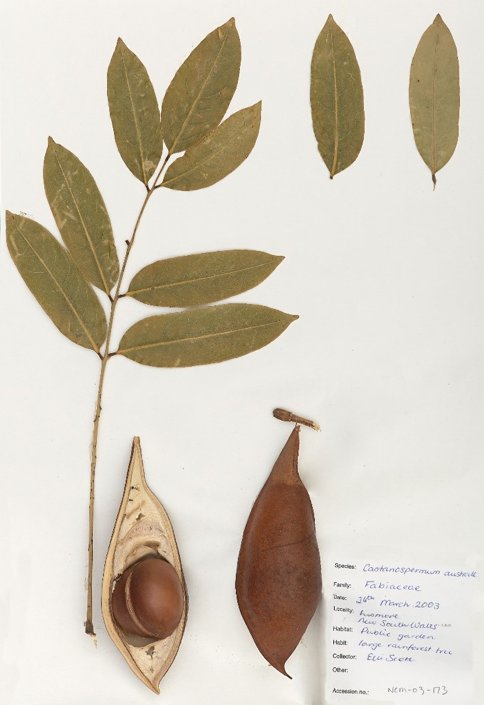 But what am I doing with the pressed specimens is problematic for me: I am anxious about representing / speaking for the other, and about working with dried specimens, and not with the liveliness or vitality, and sensuality, of the living plant. There is also a typical quantitative methodological question of how and how many samples to select for poetic inquiry in an overwhelming number: at the very least, I am attempting to select native plants that grow in the area where I live. I see this work as ekphrastic because ekphrasis differently articulates “nonverbal, aestheticised objects” (Haywood 2014, 107). Ekphrasis “can be thought of as … [carrying] on with newness”, giving “additional meaning” to the original (Haywood 2014, 110-13). And I have chosen the prose poem as the form because joanne burns (1989) says that the prose poem is, in contrast to other poetic forms, “more humble … more subtle. It knows the potential … of not being too obvious” (28-29), and as a form, then, it potentially does not override more-than-human speaking. The prose poem – a hybrid, minor form – is not as commonly published as mainstream forms. Here are two of Michael Marder’s (2013) 10 ethical offshoots of plant thinking. The eight offshoot is that “[t]he plant’s absolute silence puts it in the position of the subaltern” (127; emphasis in original). (I know there are questions around plants, silence and language, but I am not going to deal with those here.) His sixth is that “[t]o harness plants to a particular end is to drive them to ontological exhaustion” (126; emphasis in original). I have Stephen Muecke’s (2008, 292) question niggling at me: What if we wrote from the “necessary … convocation [we have] with non-human things”? He requests that we let “stuff talk to the writing” – or not a writing about, but a writing with. Freya Mathews (2007) asks can one somehow “manage to slip under the psychic skin of the world, and ‘enter’ its subjectivity”, to experience “the ‘outside’ as ‘inside'”, and indeed she sees poetry as one method of doing this, using “the poetic language of things as opposed to the conceptual language of words”, “where meaning is conveyed predominately through objects and circumstances rather than through abstract discourse”. Perhaps this is what John Ryan (2010, 12) means by representation becoming “less a process of wresting form from nature and more of a breathing into a form”. While I don’t disagree with Ryan’s imperative that we need to open the representation of flora to the body sensorium, there’s an oddity for this instance of my work with dried (dead) specimens. The Dusky Coral Pea, found clung round a banksia tree on the headland of coastal bush, Cresent Head. To cling, it has (re)constructed a dance – a ballet circle. Its audience: furry-coated bean pods and their matching-coated offspring: furred baby pods, spear-tipped for full-length growth – standing around/mid dance. The re(de? )constructed ballet chorus is of leaf full-frill-skirted twirl, garnered by tendril, twirling skirt to skirt, gone en pointe mad with music. A combo of narratives: The Red Shoes and The Princess and the Pea. The principal dancers: the prima-ballerina flowers: the thinnest of forms of silken elongation of soft prong-armed, svelte with torso elongated tall. Sirens on the side, away from the muddle huddle, inviting in to the quiet mayhem. A co-joining in a trace of crest, trough and curlicue cling flung round. Martin Harrison (2013, 10) says that a piece of writing which “fulfils” some order of “ecological requirement” would have to meet three conditions. One is that it should be in an “undetermined, evolving, ergodic or not fully resolved form”, the work being an “evolving act of attention and attentiveness”. “In the current moment it is clear that we must listen to what is other than human and how it is speaking to us” (11). The second of Harrison’s conditions for an ecological writing is a reference to “a sense of intervention and participation in the natural world” (2013, 10). John Ryan (2010) also notes that there is an “inseparable interrelation between one’s personal history and the story of the land” (15). Harrison’s third condition is to position “discourse outside of the discursive self” (10). “[W]riting cannot now be tied to the assumption that individuation” is the main aim of “acts of imagination”, because this emphasis “predisposes us to think that only humans speak”. It is about the space for the furthering of potential meaning in the natural world. A rose is not a rose, when trying out thorn, and clinging via imitation – being a mini and a minor, a wannabe, with thorns small but sharp, singular but coupled close, ever-so-cleverly hooked to be a sharp, attacking claw. The tiny rose flower is paper-thin, and its budding sheath rough-hewed, haired, striated, stippled, coned, multicapped to protect the forming flower. A stretch of fractal-finger leaf, from the many-handed base, thorned and pinprick-tipped, with a strong, rod spine of bark-limb, holds lostness where a rose is not. And it is my understanding that John Ryan (2014) asks for the development of the following skills: “a commitment to ecoregionalism, the study of Indigenous environmental knowledges”, a “competence with natural science”, an “interest in the human senses”, and an “appreciation of the dynamism of flora and fauna”. Boats, we think of. A mini Viking boat (a robustly imaginative projection): with the curved bottom and pointy ends, the curve forming the basin (with fraying rims). The pod ‘skin’: a pitted Mars landscape, or the Australian red centre (maybe). A creamy basin-cover, mush-soft, a sticky marshmallow, a yum ecru. Seeds: macaroons, with their cream-filled smile; or a boating-loving ball safely stowed; or red cricket-ball bulge, worn to brown, with stitched stripe – a place to half, the place where it does split into its two seeds. You could (easily) thin-slice through the ovule ballooning from its flat middle-mark. Indigenous peoples slice, smash, pound, soak, shape, roast. I throw shooter / yorker seed balls arhythmically in maiden overs into the bush to colonise. We could name our place, which is not our place, where I bowl these seed balls, Blackbean Place. Nomenclatures abound like Norse myths, Aboriginal Dreamtime: Bean Tree, Black Bean, Moreton Bay Bean, Moreton Bay Chestnut. And the leaves: angled elegantly with separate oaring. The elongated ovular, narrowly ovate tapering, individually matching, in a flattened way, the outline, the shape of the pod boat, sinking, splitting, opening for sp[r]outing of the seed ball. Wheeler, Wendy 2006, The Whole Creature: Complexity, Biosemiotics and the Evolution of Culture, Lawrence & Wishart, London. Moya Costello teaches Writing in the School of Arts and Social Sciences, Southern Cross University. She has two collections of short prose and two novellas (Kites in Jakarta and Small Ecstasies; The Office as a Boat and Harriet Chandler) published, and work in scholarly and literary journals and anthologies.